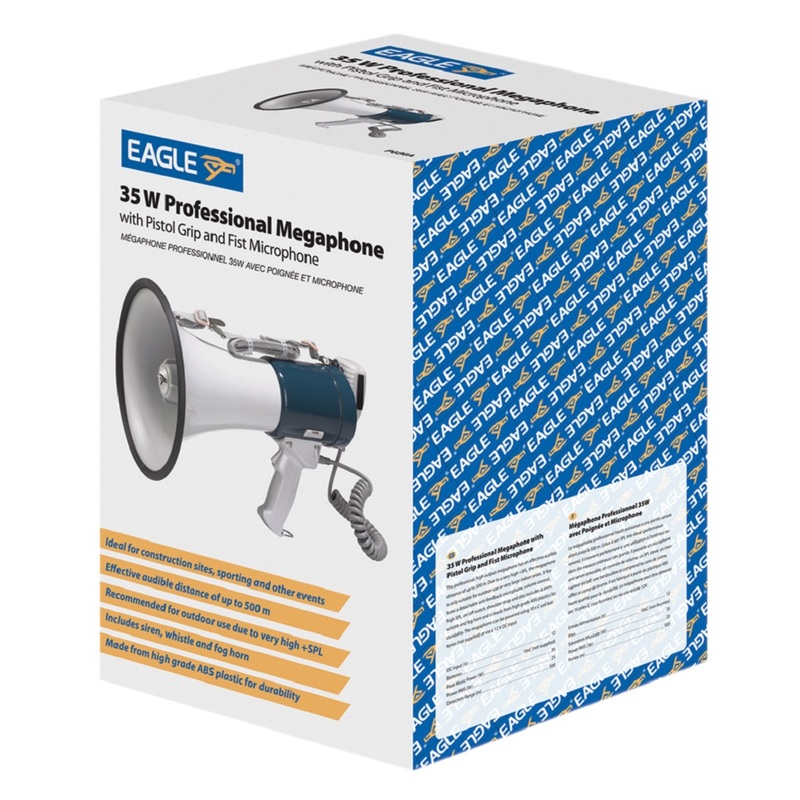 The professional, high output megaphone has an effective audible distance of up to 500m. 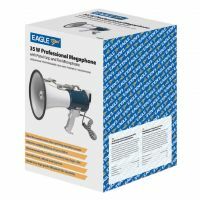 Due to a very high +SPL, the megaphone is only suitable for outdoor use or very large indoor areas. It features a detachable anti-feedback microphone, volume control, high SPL, on/off switch, shoulder strap and also includes a siren, whistle and fog horn and is made from high grade ABS plastics for durability. 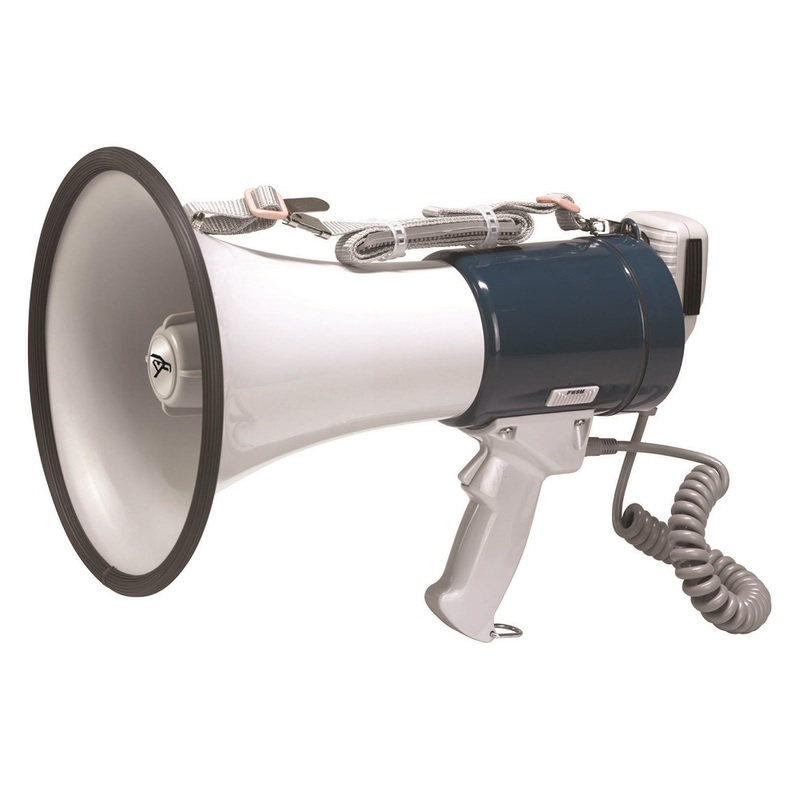 The megaphone can be powered using 10x C cell batteries (not supplied) or via a 12V DC input.